The County of Santa Clara Public Health Department is warning people in Santa Clara and Sunnyvale to keep an eye out for any symptoms that might mean they have the measles. The warning was issued after an unnamed international tourist traveled to the Bay Area while infectious. 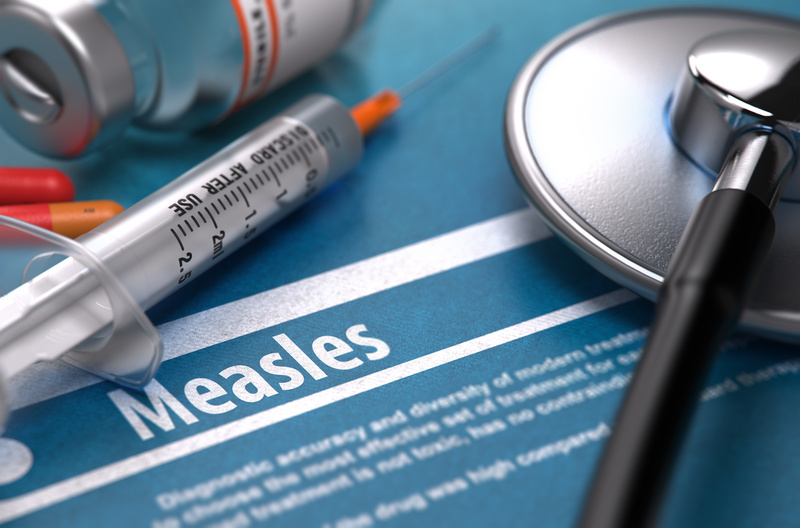 Health officials say most symptoms appear between 7 and 21 days after exposure and the people most at risk of contracting measles include unvaccinated children and adults as well as people with weakened immune systems. Despite a number of locations on the list, health officials say there’s no need to worry about visiting any of those places now. The county health department says the only confirmed case of measles is the international tourist. This latest concern comes around the same time Rockland County in the state of New York declared a state of emergency because of the measles. Over 150 people in that county have contracted measles since the fall. Meanwhile, California lawmakers will soon start discussing a bill aimed at tightening vaccination requirements for children. SB-276 was authored by State Senator and pediatrician Richard Pan (D-Sacramento). It would require the state Department of Public Health to look at every request for a medical exemption for vaccinations. Under current law, the child’s doctor is allowed to issue medical exemptions. If the bill is passed, the state health department would create an exemption request form based on guidelines created by the federal Centers for Disease Control and Prevention. Those guidelines would be used to determine if there’s enough medical evidence to prove a vaccine poses a risk to the child. The bill would also require the creation of a statewide database of medical exemptions including ones already approved by doctors. State and local public health officials would be able to access the database and revoke any exemptions that don’t meet federal guidelines. State Senator Pan says the legislation is necessary to combat doctors who sell fake medical exemptions to families.